Betonite powder, 30 day supply. Betonite is a mild detoxifying substance with a protective gel effect, a natural mineral clay made from volcanic ash. EnergyBalance™ Bentonite contains at least 95% montmorillonite and is tested at certified German laboratories for identity, purity, easy digestion and quality. EnergyBalance™ Bentonite meets the quality criteria of the European Pharmacopoeia PH. Eu. 7.0. Betonite is a clay mineral that results when volcanic ash disintegrates. The extremely large, negatively charged surface of this material makes it highly absorptive of pollutants. Bentonite binds heavy metals and other pollutants even when they are still in the digestive tract so they don't even have a chance to build up in the body. EnergyBalance™ betonite absorbs foreign substances before they can make their way into the blood stream. This supports excretory organs like the liver and kidneys. And EnergyBalance™ bentonite can do even more. EnergyBalance™ bentonite also supports the intestine by reabsorbing any pollutants that end up there. That leaves the intestine with much more energy to more effectively process nutrients. 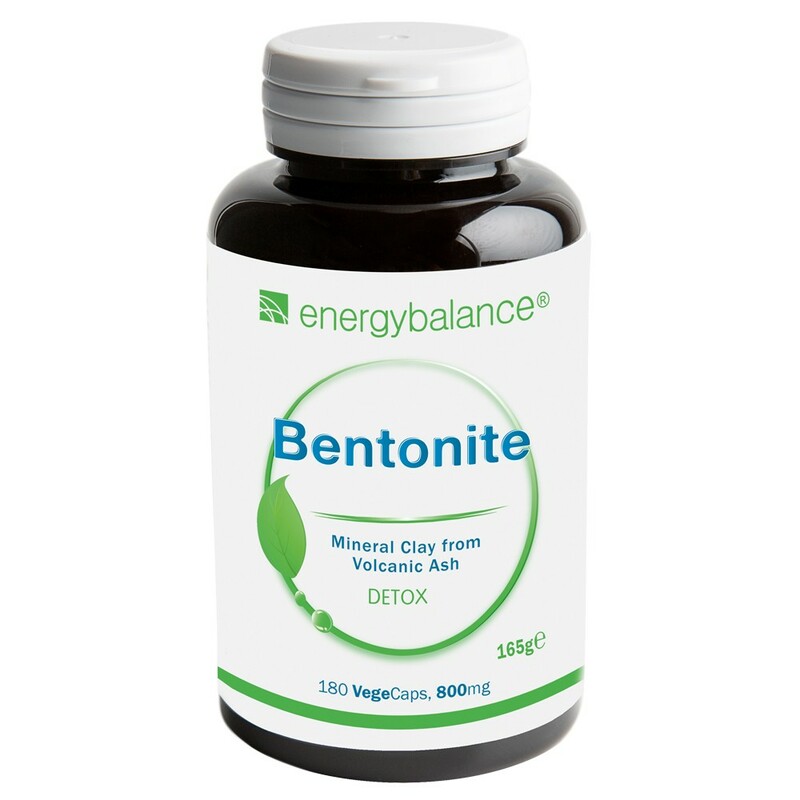 Taking EnergyBalance™ bentonite can improve and maintain intestinal health and, with it, your general health as well. Take for at least 2 to 9 months. Drink twice a day 2-3 capsules with plenty of water, tea or juice on an empty stomach, about 30 minutes before eating or before going to bed. 100% natural bentonite from Germany containing a minimum of 95% montmorillonite, pharmaceutical grade Ph. Eur 7,0. plant-based, gluten-free, lactose-free, suitable for diabetics.